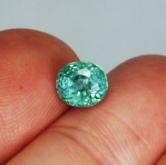 Size: 7.1 x 6.6 x 6 mm deep. Clarity VS eye clean gemstone! 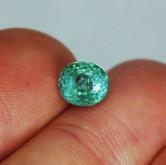 Note: Very bright and pretty natural bluish green tourmaline from Afghanistan. Especially beautiful in natural light.